The word “ephemera”, in its true essence, is used to describe common paper-based items usually intended for one-time or short-term use. Generally discarded, these seemingly unimportant things are not normally considered collectibles or keepsakes. 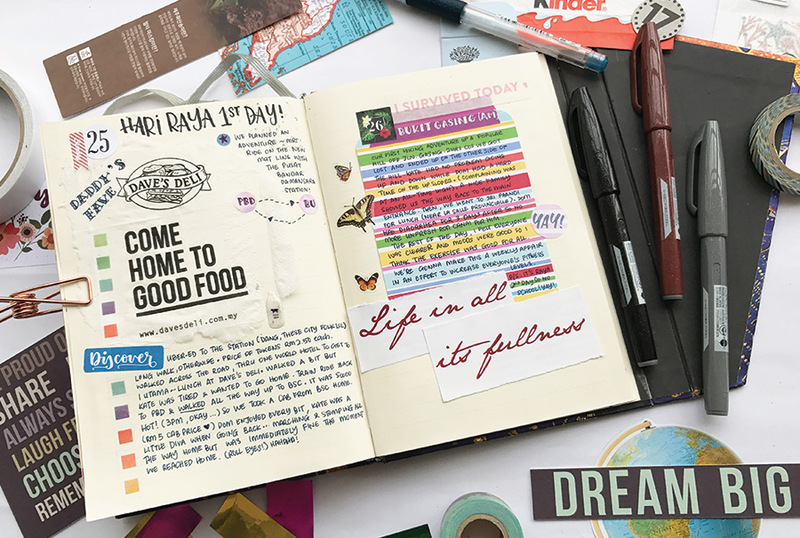 In journaling, however, where the aim is to document and preserve, they serve as primary evidence of your adventures, while also adding a touch of creative flair. The value of ephemera is found not only in their content, but also in the beauty of their presentation. Interesting works of graphic design, typography and the ever evolving print industry create objects that reflect the design aesthetics of the time. Examples range from small ticket stubs, party invites and brand tags to the much larger formats of leaflets, packaging and maps. Needless to say, you will find an abundance of meaningful memorabilia at your disposal once you decide to collect and use them in your journalling endeavours. 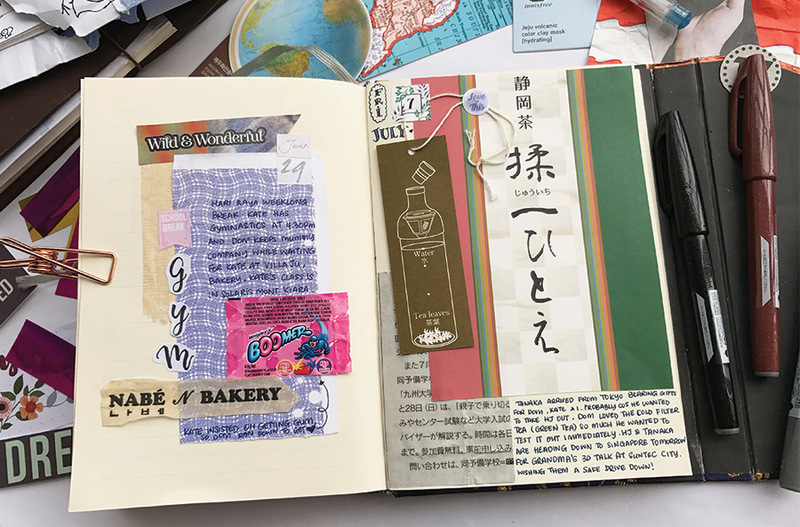 In this month’s column, I look at three ways ephemera can be creatively incorporated into your journal spreads. The many different types of papers used to print ephemera provide a wonderful field of texture you can build on and frame your layouts with. Large pieces such as maps, sheet music and vintage book pages are frequently employed to set the stage for the rest of the spread and even these can be layered for a more elaborate layout. Smaller elements such as movie tickets, teabag envelopes and postage stamps placed strategically over the larger ones lend a three dimensional quality to an otherwise two dimensional page. Make sure to pick items with relevance, as meaningful images and motifs influence how a viewer sees the page, forming points of interest as the eyes roam. Certain items such as packaging and wrapping paper make excellent embellishments because of their pleasing aesthetic. Visually appealing printed matter such as maps and papers with text or script backgrounds add a touch of nostalgia to everyday modern ephemera. An easy way to produce custom embellishments unique to your journal is to use hole punchers in simple shapes like circles, hexagons, triangles and flags on these beautiful papers. In the image above, I used giftwrap my son received during his 9th birthday party to build the banner on the top of the spread. Personal ephemera like boarding passes and invitation cards can also be punched out in the sections containing your name or any other important details you may want to include and highlight. Layering these one-of-a-kind embellishments takes your journal page up a notch because it is so much more personal. Festive seasons are another wonderful time to collect unique ephemera you wouldn’t usually be able to obtain any other time of the year. Red packets during Chinese New Year, chocolate egg wrappers from Easter and ephemera collected during Christmas and Halloween are only some of the examples you can include to retain each festival’s distinct characteristics. There really are no hard and fast rules in journalling. When layering ephemera, you can choose to include negative space to evoke a feeling of airy calmness, or go to town and collage the whole page to your heart’s content. The most important thing is to enjoy the process journalling affords you. Typography plays a huge role in any journal entry. Old magazines, leaflets and brochures are an inexhaustible resource for words, phrases and inspirational quotes presented in an even larger array of fonts. Fonts of varying sizes and colour can be mixed and matched to compliment your own handwritten script. Use them for titles, headings, dates and even modern day acronyms, whenever individual alphabet letters fit the bill. Not all ephemera can be classified as good looking. A crumpled, fluorescent coloured post-it note with “I LOVE YOU” clumsily scribbled on by a 4 year old, while holding immense personal value, may not always jive with the rest of the page. 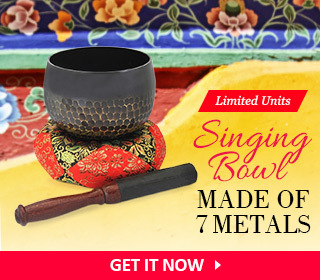 There is, however, a useful little secret to including these priceless treasures while still ending up with a beautiful spread. Create pockets or envelopes with double sided patterned papers and house them safely inside. And when all else fails, as it sometimes can happen when ephemera sizes are larger and thicker than any pocket can handle, embrace it and design your entire page around it, bright colours and all. The use of ephemera is not limited to personal or family journals. 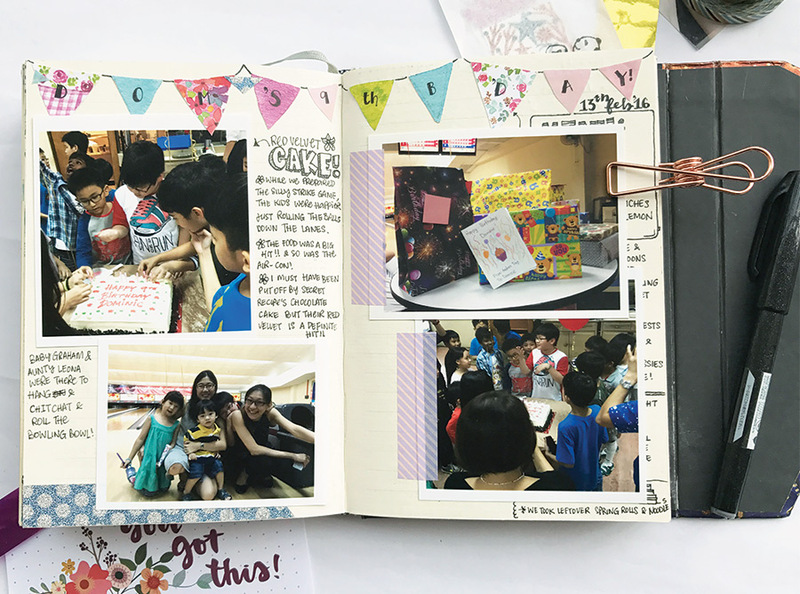 In idea journals, for example, interesting patterns, textures and images can be combined to create inspirational vision boards and reminders. Whatever journal you are keeping now, I encourage you to take a quick browse through your house or drawers and see what ephemeral treasures you can find that would make fun additions to your spreads.